Reinstatement:Paying the loan balance off in a very short time, usually within 24 months. Total reinstatement involves paying the lender everything that is owed in one lump sum including missed payments, late fees associated with these payments, foreclosure fees, legal fees and the principal owed during the delinquency.For most of us, I know this first one sounds far fetched. If they can pay off the loan balance, why are they in trouble. But, there are times when monies can be found through a family member, business partner, etc., allowing the borrower to fully pay off the loan. Perhaps even an investor would be willing to step in and purchase your property by paying off your loan balance. These types of transactions do happen. Repayment Plan:These plans typically require higher payments than your regular monthly mortgage amount for a period of time until the loan is brought up-to-date.For example, your monthly payment is $1000 and your past due amount is $5600. The lender agrees to take monthly payments from you of $1200 until the past due (plus any fees they may add) is paid in full. Once the past due or “arrearages” are paid, your monthly payment drops again to $1000. When helping homeowners with modifications, we have been successful getting lenders to move past due amounts plus fees to the back end of the loan. What this offers lenders is a longer payment term and the opportunity to collect more interest. For the borrower, the past due amounts are no longer an immediate cause of concern. Forbearance: The lender allows a short time period of either low payments or no payments at all. This necessitates later payments to be higher than the original monthly mortgage payments until the loan is, once again, up-to-date. Special Forbearance (FHA Loans only): Allows eligible borrowers to postpone monthly mortgage payments for a minimum of four months. While there is no maximum number of months allowed, at no time may the agreement allow the delinquency to exceed the equivalent of 12 monthly PITI installments (principle, interest, taxes, insurance). Deed-in-Lieu:The borrower voluntarily gives (deeds) the property back to the lender in exchange for a release from all obligations under the mortgage.This may sound like a fabulous idea, but you must check with the lender to see if they’re willing to receive the property back from you.A deed-in-lieu must be voluntary by both parties in the transaction. For you, the borrower, a deed-in-lieu immediately releases you from the mortgage debt and has less impact on your credit than a foreclosure. For the lender, it is less costly and time consuming than the foreclosure process. Cash Sale: The borrower sells the property, pays off the loan and may even net some profit out of the deal. The challenge, of course, is being able to sell quickly enough and at a price that allows you to pay off the loan. If you’re facing foreclosure and hope to sell your home on the retail market to avoid it, don’t delay – market your property immediately! 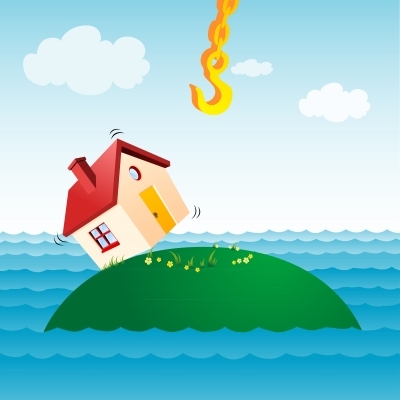 Short Sale: The borrower makes an agreement with the lender to sell for less than the amount actually owed. This generally results in no cash to you, the homeowner, but is better for your credit than a foreclosure. Refinance: Getting a new loan. This requires two major components from you, the borrower: good credit and equity in the property. Selling “subject-to” your existing financing:With a subject-to transaction, you deed the property to a investor/buyer “subject-to” your existing loan, allowing the investor/buyer to pay it off at a later date. Your buyer is then on the recorded deed as owner of the property, yet you remain on the loan and maintain the ultimate responsibility for the loan repayment.When considering selling subject-to, it is imperative that you research to know the buyer. We, for example, have offices, lots of customer testimonials, are listed with the Better Business Bureau, and our business practices can be traced back for years. A seller can research our company and be comfortable that we are credible, will continue to make the payments as promised to the lender, and are not going away. Do Nothing: The worst choice for the at-risk seller, whose credit will be ruined. This does, however, allow the seller to stay in the house for months without paying, enabling them to save cash and move only when the lender or the high auction bidder eventually evicts. Rent: How about putting a tenant in your property and moving to something more affordable? This may be an option if you’ve lost your job or can just no longer afford to make those monthly payments. Can you rent the property out for enough to cover your current property expenses, or at least enough to allow you to move on with your life? Renting may be a solution that allows you to move on with the peace of mind that your property and credit scores are intact. Don’t Get Scammed When Looking for a Rental!